"Their [Jews] alien looks, habits and language combined with their remarkable fecundity, tenacity and money getting gift, make them a ceaseless weight upon the poor amongst whom they live...truth compels the sentiment, that wherever the foreigner comes in any numbers, the neighbourhood in which he settles speedily drops in tone, character and in morals... Their very virtues seem prolific of evil, when like some seed blown by the wind, they fall and fructify on English soil"
The Jews who came to London in their thousands in the early part of the 20th Century fled the most vile conditions in Eastern Europe. For Jews, life under the Tsar was one of destitution, racism and regular pogroms. Violence was common, as were systematic attempts to destroy Jewish culture and traditions. It's no wonder that so many fled to Britain, with it's supposed traditions of compassion and freedom. Rarely did they get the welcome they hoped for. Arrival in the East London docks meant abuse and poverty. If you had any wealth left after the struggle to cross Europe and bribe your way out of Russia, you soon lost it to the greedy landlords and business-men that haunted the East End. If you found a job - working in appalling conditions, for 10, 11 or 12 hours making clothes or shoes in a sweatshop, you wages barely paid for the leaking, filthy, overcrowded hovel that was supposed to be home. The other side to this picture of despair was the brave attempts to fight back - against anti-Semitism of course, but also the struggle for shorter working days and better conditions and William Fishman's classic work, just republished, documents the struggles of ordinary people to improve their lives. Fishman paints brilliant portraits of the men and women who led the struggles, strikes and attempts to build Trade Unions, often in the face of incredible hostility. 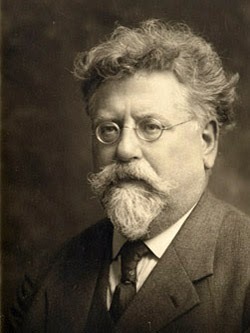 Names like Rudolf Rocker, Aaron Lieberman and many others echo down to today as another generation of immigrants struggle against oppression and racism. 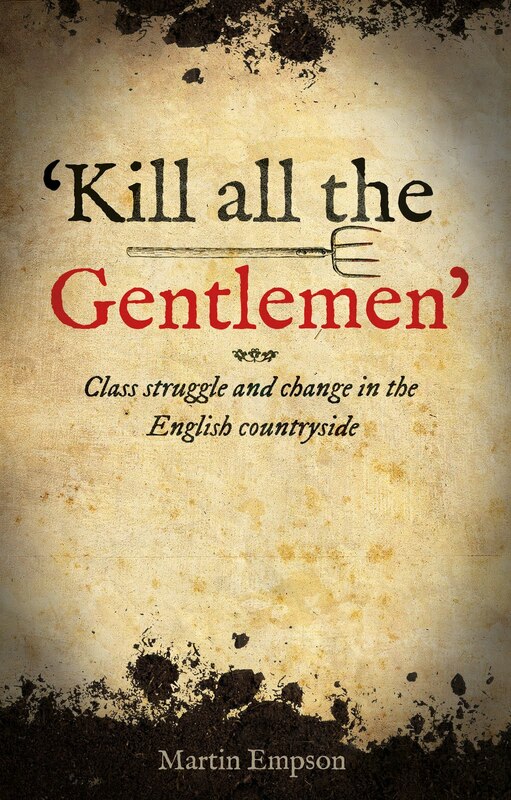 For someone like myself, active in political campaigns in the East End today, this book is an inspiration. The streets where the Jewish anarchists and socialists met, planned and debated are the same ones where radicals still met today. The times have changed but the campaigns seem very similar, as do the arguments about the way forward. There can't be many radicals alive today in Whitechapel, Poplar or Tower Hamlets generally that wouldn't give their eyeteeth to have been at the rally, whose flyer is reproduced in the book. On Nov 1st 1890, a mass meeting gathered in Mile End to "protest against the inhuman treatment and persecution of Jews in Russia". Speakers included several MPs, William Morris, Eleanor Marx, Felix Volkhovsky, Prince Kropotkin and many others. 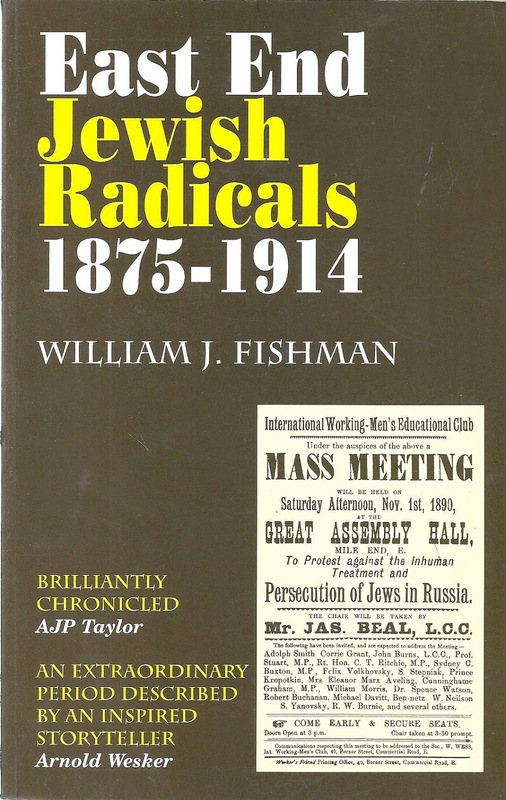 Like so much of the radical tradition in Europe at that time, the Jewish anarchists in the East End didn't survive the repression and ideological confusion of the First World War. But the struggles then left a legacy that went beyond a simply Jewish tradition, but means that we can justly view the East End as somewhere men and women, Jew and gentile, black and white have fought for a better world many times in the past, and continue to do so today. Well I don't care if you think that it's simplistic humour, I like Terry Pratchett's discworld series. They are nothing but humourous, escapist fantasy and if reading offers anything, then it should occasionally allow us all to escape (and smile). There isn't a Discworld novel I haven't read, several I have read numerous times - but I certainly am not going to type thousands of words here attempting to claim them for a more high-brow audience. Pratchett's humour manages to be both subtle and obvious at the same time, he is at his best when using his invented world to lampoon the madness of our own. The later Discworld novels do this best - when looking at such important issues as war, racism and the power struggles between nations as well as the lives of the people who make up those counties and who die in their wars . If you want a light hearted look at the ridiculous justification for war and the use of racism to do this, you could do worse than read Jingo - a thinly veiled discussion of the first Gulf war that could have been written about the more recent, ongoing adventure. Though Pratchett's more recent attempts to discuss war, in Monstrous Regiment miss the mark by a wide margin it has to be said. The Colour of Magic is the first Discworld novel and as such is not the best. For serious fans of the Discworld, there are probably a few errors and ambiguities but this was the work of someone starting out on an odyssey of writing that world develop a whole new world, to entertain and amuse millions. As such it shouldn't be knocked too much and deserves a quick read when your feeling tired after a long day at work and need a few quick laughs. I was given Simon Winchester's book Krakatoa for Christmas and anyone else who had the same present must have remarked on the coinicidence of the terrible tsunami in South-East Asia the following day. As I read this book in early January, the news was full of the Tsunami, the magnificant response of ordinary people around the world and the contrastingly lack of concern from Bush and Blair. It's impossible to seperate the stories of the tidal waves and earthquakes of 1883 with those of 2004 and the subsequant tragedies then and now have many similarities. 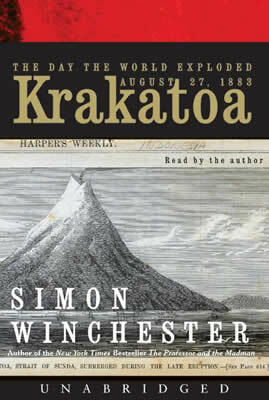 In 1883, the explosion of the Krakatoa volcano killed over 36,000 people. That the numbers of lifes lost was much smaller than last months is probably because that part of the world now has a larger population and the area is geared towards mass tourism in a way unimaginable in 1883. The huge fault lines in the earth's crust where the two giant plates meet under the ocean are responsible for a number of volcanos, periodic tremors and quakes. In retrospect, Krakatoa's explosion was inevitable - but the science of 1883 could not have predicted it (which is why the effects of the huge explosion, and destruction of "six cubic miles of rock" in a instant was felt way beyond the immediate area). It is nothing short of criminal then that nobody thought to use the scientific understanding we have now in 2005 to prepare the people of South-East Asia for the something similar. Simon Winchester is at his best when describing the science behind plate tectonics, volcanos and the consequences of the blast - both scientifically and in human terms. Personally though I found his discussion of the social consequences of the eruption less convincing - that Krakatoa helped create a mass radical Islamic, anti-western feeling in the area is possibly a step too far. For anyone who wants to understand why natural disasters like Tsunamis occur and has an interest in the development of science and how it is part and parcel of economic and political development at the time, then this book is a great, simple introduction. For an analysis of the rise of Islamic fundamentalism and anti-colonial feeling in Asia you might want to look elsewhere, but don't let that small criticism mar what is a generally interesting read. Rosa Luxemburg is one of my heroines. Her revolutionary zeal, her lifelong confidence that "another world is possible", her powerful writing and her commitment to revolutionary politics can only serve to inspire radicals today. 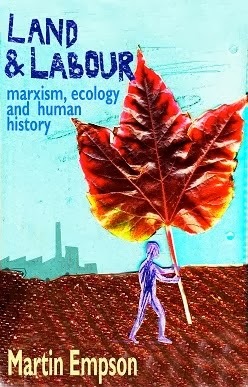 However what is often forgotten about Luxemburg is that she was more than an orator and propagandist, she was also a Marxist theorist who tried to build on the writings and works of those that had gone before and made some very important new contributions to the canon of revolutionary writings. It is in this context, as well as the centenary of the 1905 Russian Revolution that her little book The Mass Strike has been reissued by Bookmarks. The text is available online, though why bother hurting your eyes like that when it only costs four quid. The book takes the amazing events of the Russian Revolution of 1905 as a case study. Millions of men and women, living under an almost feudal dictatorship and facing massive repression went on strike, protested and demonstrated for an improvement to their conditions. In particular the 8 hour day, instead of the 12 or 13 hours normally worked in the sweatshops and factories of Moscow, St. Petersburg and Warsaw. But Luxemburg doesn't simply report on the events - even though she smuggled herself into Poland (then part of the Russian Empire) to take part. The mass strike in the way it was playing out in Russia was a new feature of revolution. Previously such strikes had been seen by the leaders of the international socialist movement as a defensive mechanism, but now the strikes took on an offensive stance, rapidly winning gains and rights never before seen by ordinary people in backward Russia. Luxemburg is at her best when describing how the strikes radicalised people and gave confidence to other people, how in a few weeks of action, the strikers had gained more for themselves than German unions had in decades of peaceful activity. But perhaps the most important part of this book is Luxemburg's understanding of how the economic demands of the strikers lead to political demands, and how the reverse is also true. The very nature of Russia's economy, the lack of political representation and the repression unleashed by the Tsar meant that workers couldn't strike about hours of work, without finding yourself in confrontation with the realities of Tsarist society. Luxemburg generalises this further - that any economic mass strike will inevitably lead to political generalisations and vice versa. The two sides of the struggle feeding each other. You can see this in microcosm in today's debates about pensions in the British Trade Unions. Any time you hear a trade unionist talk about the lack of money for pensions, they inevitably point out that the government has money for war. 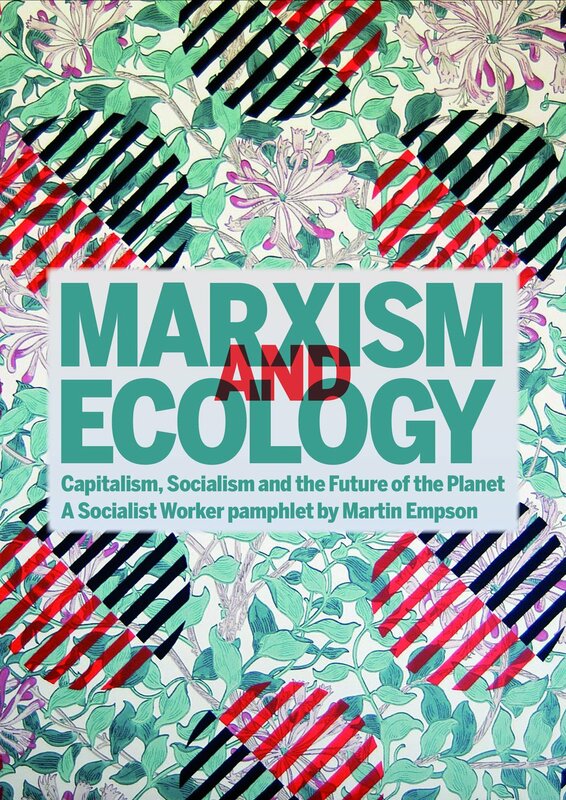 It's worth adding at this point that this book isn't the easiest book to read - unless you know a bit about the events of 1905 and some of the debates taking place in the international socialist movement at the beginning of the last century. But even if you don't there is much to be gleaned from reading this - even if you only come away wanting to know more about Rosa Luxemburg and her struggles against war and for socialism. Luxemburg's book has stood the test of time - there have been mass strikes aplenty in the last few years around the world, there will be more in the future. The republication of her book will help arm a new generation with the lessons of the past.